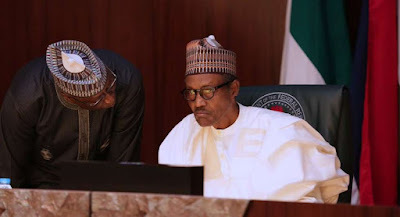 Buhari Campaign Organisation has vowed to occupy the national assembly if the Senate President, Bukola Saraki fails to resign from office after resumption. The National Coordinator, BCO, Danladi Fasali stated this in Abeokuta during the inauguration of Ogun State secretariat of BCO. The BCO national coordinator however, did not disclose the day and time ‘they’ would strike if the Senate President fails to tender his resignation. Fasali who was accompanied by his deputy, Dr. Salam, the state coordinator, Adeleke Bada and other south west coordinators, urged the Senate President to toe the honourable path and resign from the office of Senate President due to his recent defection from the All Progressives Congress. He said “we, the Buhari Campaign Organization are saying that the Senate President, Bukola Saraki should take a bow and resign honourably. "He should also be mindful of what happens and how senator Godswill Akpabio resigned because the position he was holding in the National Assembly is owned by the PDP, and immediately he leaves the party, he honorably resigns. “We expect Saraki to do that. But, we are assuring him that BCO will take over the National Assembly if he continues to demonstrate his impunity. He lacks the sense of direction and he wanted to truncate the present democracy. We are assuring you that before their resumption date if nothing is done, the BCO will take over the national assembly."